MIDSOLE DNA Loft foam delivers plush and luxurious cushioning while maintaining responsiveness and durability. Omega Flex Grooves enhance midsole flexibility without compromising cushioning. OUTSOLE IDEAL Pressure Zones evenly distribute pressure throughout the heel, mid-foot, and forefoot. HPR Plus is a high abrasion-resistant rubber located in the heel for durable traction. Blown Rubber in the forefoot offers durability, responsiveness, and flexibility. UPPER Double Jacquard Mesh is a breathable mesh upper that delivers adaptable flexibility along with added support. 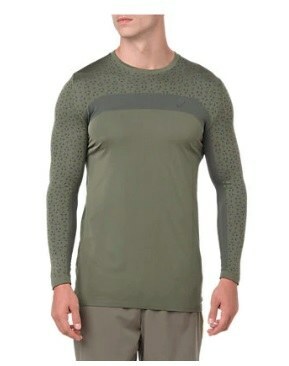 3D Stretch Fit Print Technology offers strategic overlays to provide a seamless and secure fit. Internal Stretch Bootie offers a seamless sock-like wrap that helps create an ideal fit. Comfort Collar adds plush cushioning around the ankle.